Davenport Resources (ASX:DAV) this morning followed up yesterday’s announcement —regarding the historic Resource at its 100%-owned Ebeleben mining license in Germany — with the release of the historic potash Resource at its 100%-owned Muhlhausen-Nohra license. The resource for the company’s Muhlhausen-Nohra license includes 234 million tonnes at 14.4 per cent potassium oxide (K2O) — equivalent to 33.8 million tonnes of K2O. According to DAV, the quality of the historic data will allow the company to rapidly advance its assessment of its South Harz Resources (both the Muhlhausen-Nohra license and the Ebeleben license) and achieve JORC compliance more expediently. Further, the presence of mixed salts in the Muhlhausen area bodes well for the potential for parallel Muriate of Potash (MOP) and Sulphate of Potash (SOP) fertiliser production. Regarding today’s announcement, Davenport Managing Director, Chris Bain said: “The historic resource for the southern part of Muhlhausen-Nohra follows the announcement of a historic resource of 356 million tonnes at 16.1 per cent K2O for the nearby Ebeleben Mining Licence. 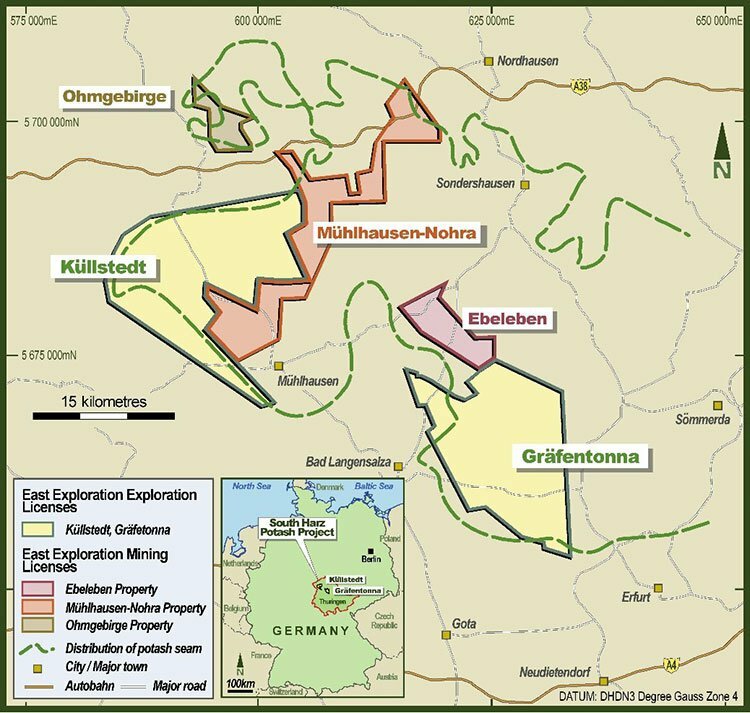 DAV recently acquired three perpetual mining licenses in the South Harz basin from German government agency Bodenverwertungs-und-verwaltungs GmbH (BVVG), which includes Muhlhausen-Nohrah and Ebeleben. Its holdings in the South Harz area now total 650 square kilometres. The above resource for the Muhlhausen sub-area was estimated in 1980, with no known resource estimate having been done on the sub-area since. It should be noted that the estimate is a historical foreign estimate and is not reported in accordance with the JORC Code. 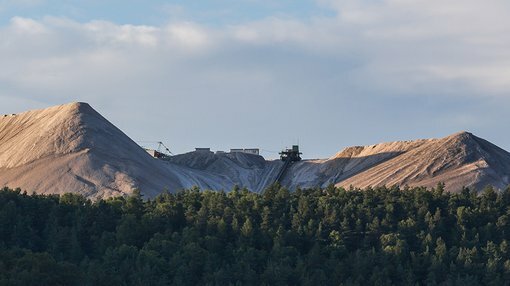 However, defining a JORC compliant Resource is top of the priority list for DAV, as it looks to prove up its newly acquired resources and re-establish the prominence of the South Harz as an important region for potash-production.